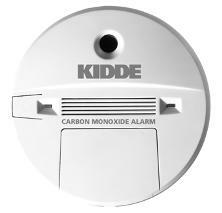 The Kidde 9CO5 battery operated carbon monoxide detector protects your family from carbon monoxide. It includes a snap on cover that gives immediate access to the batteries and a safety feature that makes it difficult to close the cover without the batteries being installed. It is suitable for all living areas and has a five-year limited warranty. It has multiple mounting options allowing installation on a wall or table top. Electrochemical Sensor "The World's Most Accurate Sensor "